"Fire in the Mind" by Arjay Lewis grips readers from the very beginning with the introduction of protagonist, Leonard "Len" Wise, a doctor of parapsychology. Parapsychology is the study of mental abilities and extra-sensory perception. Dr. Wise is enlisted to assist on a strange murder case involving spontaneous human combustion. Dr. Wise uses his special abilities to help Detective McGee on this complicated case, while trying to overcome the loss of his fiancée Cathy, and remain a recovering alcoholic. The case hits close to home when two women connected to Dr. Wise are struck by the serial arsonist. Dr. Wise becomes desperate to help solve this mind-boggling case. Dr. Len Wise is reminiscent of a modern Sherlock Holmes. He is quirky but becomes relatable when he describes the catastrophic loss of his fiancée. Arjay Lewis created a multi-dimensional character in Dr. Wise by touching on the struggle of alcohol addiction. Throughout the story, we see Dr. Wise overcome the hurdles of seeing and smelling his greatest weakness, the alcoholic beverage. As a reader, I was able to relate to Wise’s pain of losing someone close to him and feel the sadness in his memories. As a police officer myself, I was drawn to Detective McGee’s character and the relationship that is formed between him and Dr. Wise. Detective McGee’s motivation to use any means necessary to solve his case, including the questionable tactic of consulting Dr. Wise, is refreshing. At first glance, Detective McGee seems to be a straight-laced detective whose only focus is to close a case. As I continued reading, I realized Detective McGee is a progressive, young detective who has an open mind to explore any investigative tool to get justice for his victims. Detective McGee’s eagerness does not always sit well with his old-timer colleagues, but his determination does not waver. Lewis draws you in to the world of parapsychology through Dr. Wise's experiences. Parapsychology proves to be a fresh, innovative view on the typical psychological thriller. "Fire in the Mind" has unpredictable twists that kept me thinking long after I closed the book. "Fire in the Mind" is a must-read for lovers of science fiction and psychological thrillers. Lewis balances a new angle in the topic of parapsychology with the ups and downs of a beloved thriller. Lovers of police procedurals will also enjoy this story of arson and murder. As a professional in the law enforcement field, I can attest to the accuracy of the investigation described by Arjay Lewis. He certainly did his homework when crafting this face-paced read. I am looking forward to discovering more about parapsychology in the upcoming Doctor Wise series! 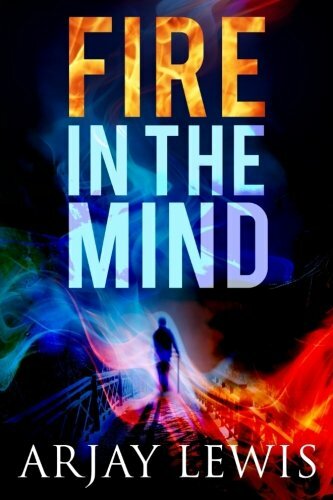 "Fire in the Mind" is 4-out-of-5 stars in my book.